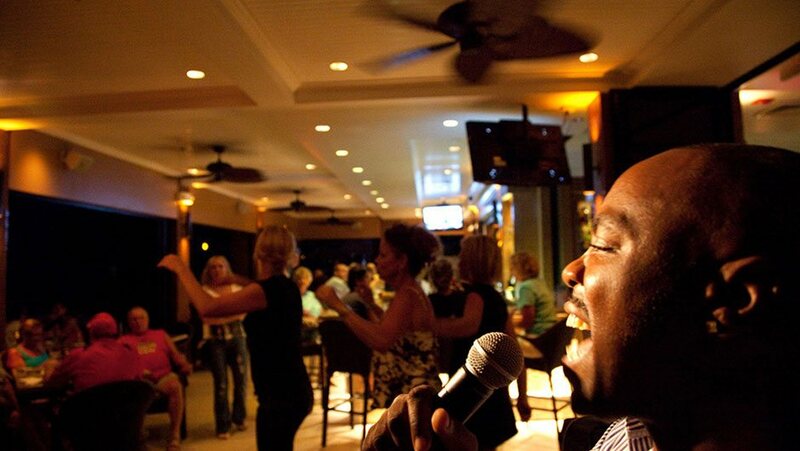 The South Florida nightlife scene is known as one of the world’s best, and the nightly live entertainment at the Patio Bar and Grill provides a fun and lively scene for locals and tourists alike. We welcome the best musicians and entertainers from around the region nightly, providing the ideal atmosphere for festive oceanfront dining, drinking, and socializing. The Patio Bar and Grill is home to some of the best daily drink specials and dining deals in South Florida. Our oceanfront bar in Deerfield Beach serves a delicious array of specialty drinks, including our Mango Margarita, Blue Shark and Miami Vice. Go JUMBO and we’ll serve up your refreshing beverage in a 45-ounce take-home glass!